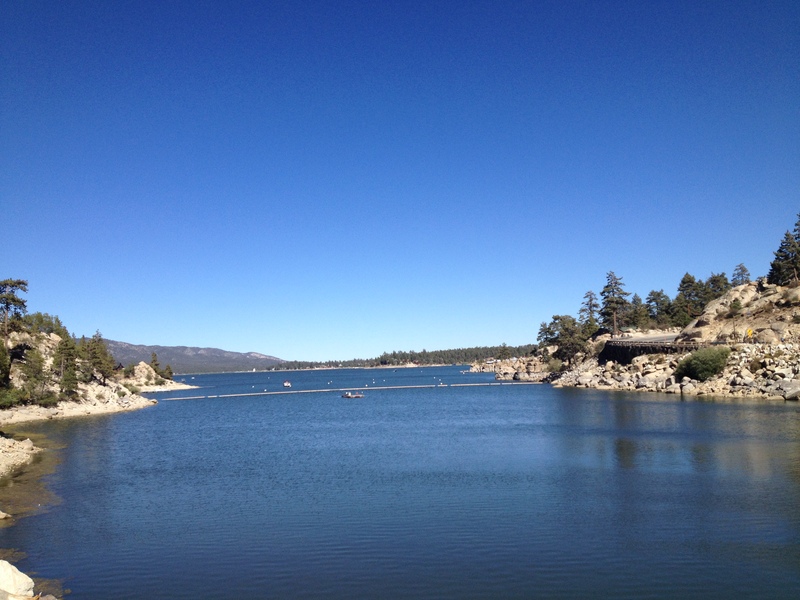 I was feeling the urge to beat the heat and relax by a lake today, so I decided to venture to the mountains and the choice fell on Big Bear. Although not exactly close (it takes about two hours from the Coachella Valley), the trip goes by very fast, thanks to the beautiful scenery of perfectly matched shades of green that lines the winding roads. 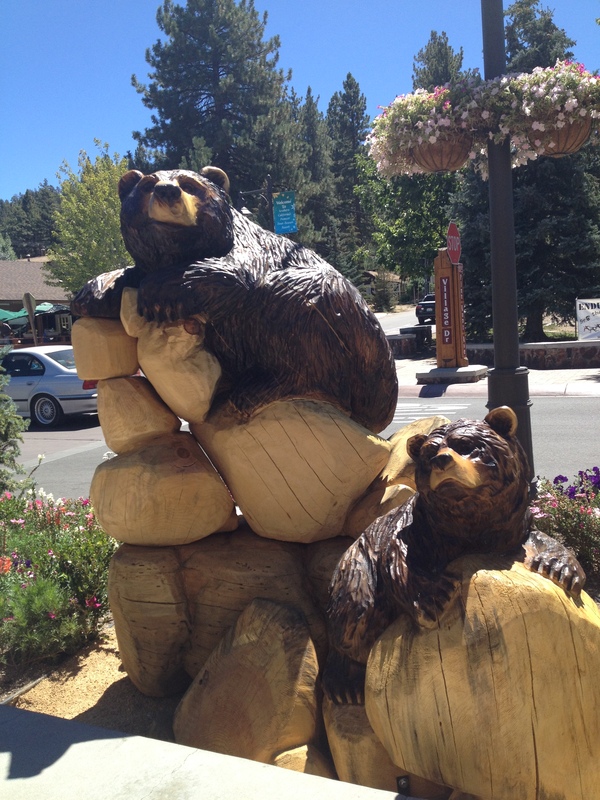 As I was driving lost in my thoughts, it dawned on me that the last time I visited Big Bear was in the middle of a very cold winter. We were on our route to our friends’ chalet in nearby Lake Arrowhead, when we stopped at a quaint little tea house for a much needed cup of Earl Grey (possibly the best I’ve ever had). It was snowing quite profusely — giant flakes were falling like a velvet coat, obstructing the view and making the roads dangerously slick. Since we didn’t want to get stranded, we got back in our car and cautiously drove away without seeing much of the town. This time, though, I had all the time in the world to stroll down the village and the lakeshore. 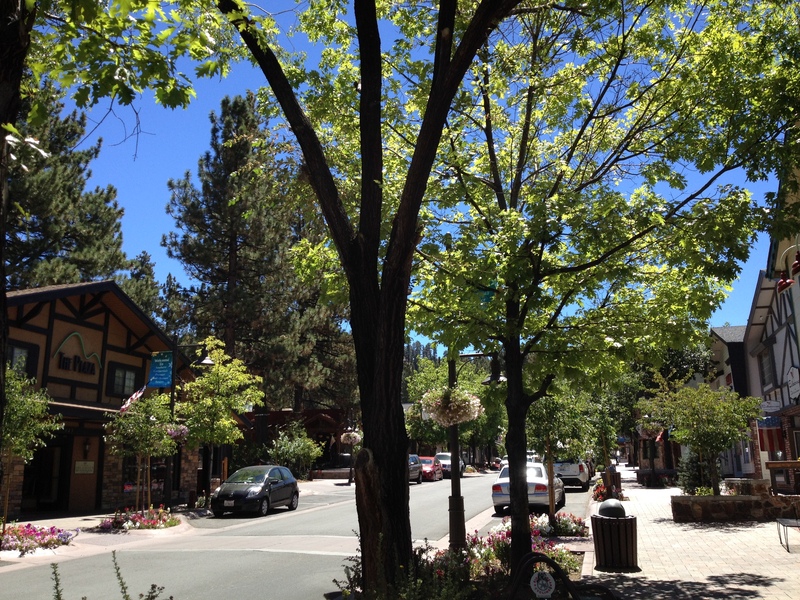 If winter is a magic wonderland, summer in Big Bear is just as charming: The small streets are all decorated with bright flowers hanging from light posts or popping from central and corner medians in a cheerful explosion of colors. Artisanal shops and little boutiques carry exquisite local products (needless to say, the bear in all form, material, and shape, is the most recurrent item). There a few good galleries, vintage stores, and also a record store. But the one that truly stands out is the Toy Galley — yes, you guessed it: a pirates store in the mountains! Here, one can find any imaginable pirate-themed item: from toys and books to collectibles and memorabilia. Jack Sparrow would feel right at home! Restaurants abound, too, with options for every palate. I picked an American cafe with a great patio and live music. Their scrumptious Kobe burger is a must. I killed the calories packed during lunch with a walk down the lake and a more serious hike on the opposite lakeshore (which can be reached with a short drive). I parked right by the observatory and enjoyed the calm all around me: I almost went fishing, as it was so quiet! I loved walking by the houses and observing their different styles (of course, there are plenty of classic chalets and cabins, but also nice colonials and some French chateaus, among others). On the way back, we took the route that crosses the high desert: Joshua Tree and the Morongo Valley. It took about the same amount of time to get back even from that direction, but once again, the dramatic change in landscape (pines to Joshua trees) was so worth it. Ho una casa dove posso andare con amici a BB. Mai stata una volta fino ad ora 😛 . Spero presto.